Friday night’s killing of two men in Spring Mount St. James could have a crippling effect on an ongoing murder case in the St. James Parish Court. This as the star witness in the Mario Deane murder trial, 24-year-old Fahdean Ferguson, otherwise called ‘Street Man’ of Spring Mount, was among two gunned down at the start of the weekend. 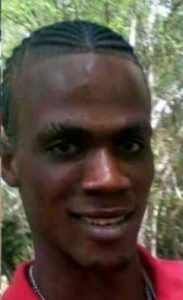 The other man has been identified as 23-year-old Odaine Graham, a mason of Dam Road, John’s Hall, both in the parish of St. James. A police source says a 28-year-old mechanic of Maroon Town was also shot and injured in the incident, as well as a woman. According to reports, shortly after 8 p.m. on Friday, five persons, including the two deceased, were among persons gathered at a popular shop along the roadway in the Spring Mount community, when a dark motorcar reportedly drove up and the occupants, armed with high-powered weapons, opened gunfire. 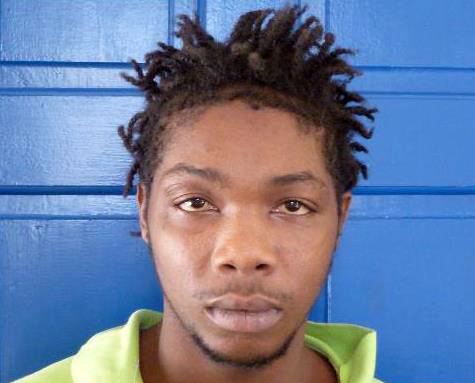 The police were called to the scene where Ferguson was found dead, and Graham was taken to the Cornwall Regional Hospital (CRH) where he died while undergoing treatment. The third man is said to be in critical condition. Ferguson, who was reportedly a witness to the beating death of Mario Deane in police lockup in August 2014, escaped from police custody on September 13, 2014 while being held at the Barnett Street station. Meanwhile, responding to queries about how the death of the witness would affect the outcome of the case, Director of Public Prosecutions, Paula Llewellyn, when contacted for a comment, indicated that under section 31 of the Evidence Act: A statement given by a person in a document shall be admissible in criminal proceedings as evidence of any fact of which direct oral evidence by him would be admissible, if it is proved to the satisfaction of the court that a person is dead. She said this means that the admissibility of the evidence given previously by the witness would allow for the case to proceed unhindered. The killing pushes the murder tally in the parish of St. James to 19. Following the shooting, a heavy detachment of police was deployed to the area. The shooting caused a lengthy delay for travelers and taxi-seekers from the Tucker, John’s Hall Spring Mount, Springfield, Maroon Town, Maldon, Tangle River and other surrounding areas, as taxi operators were prevented from carrying out their duties as police cordoned off sections of the area to carry out their investigations.